Witness the re-VAMPed 2013 version now fully kerned reworked glyphs with narrower neon tubes for all you TRUEblood fans out there. ENJOY A BOTTLE OF O-NEGATIVE ON ME!! 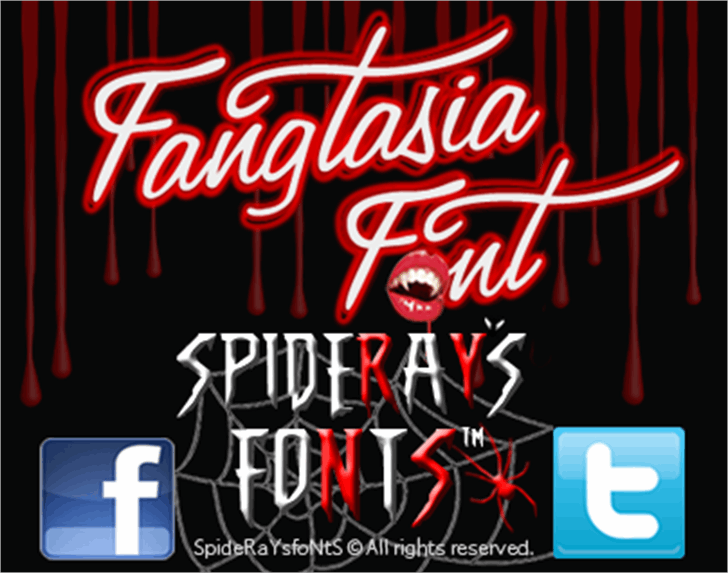 This font based on the neon light from outside the TRUEblood vampire bar of the same name, this scripted font has the custom F and t, I decided not to capitalize the T due to spacing. v2.1 font has now been completed. Wow almost 600 downloads in 2 days. Latest version 2.3 now with better spacing and correctly branded. I cannot get the apostrophe image to work and what is the key for the Sookie image...what do I type to get those images? Witness the re-VAMPed 2013 version now fully kerned and narrower neon tubes for all you TRUEblood fans out there !!! Copyright (c) SpideRaYsfoNtS . All rights reserved. Version 1.007 © SpideRaYsfoNtS. All rights reserved.